In today’s episode we provide you with the best NPR resources to improve your IELTS Listening. Not only do these resources raise your Listening score, but they also develop your culture of thinking! In our IELTS preparation, we do not just need testing skills. We also need to improve our overall English, and prepare for our future life in an English environment! Fresh Air is a top pick. Terry Gross is the host, and is one of the most famous interviewers on the radio today. PLUS, this show comes with transcripts! Terry Gross interviews authors, writers, actors, and a wide variety of people important to English pop culture. In your future, in order to participate in conversations with native speakers, referencing pop culture, and understanding other people’s references, are vital skills. This show is great to practice for IELTS Listening Sections 3 and 4, as these are native speakers talking about specialized topics at a native-speaker speed. 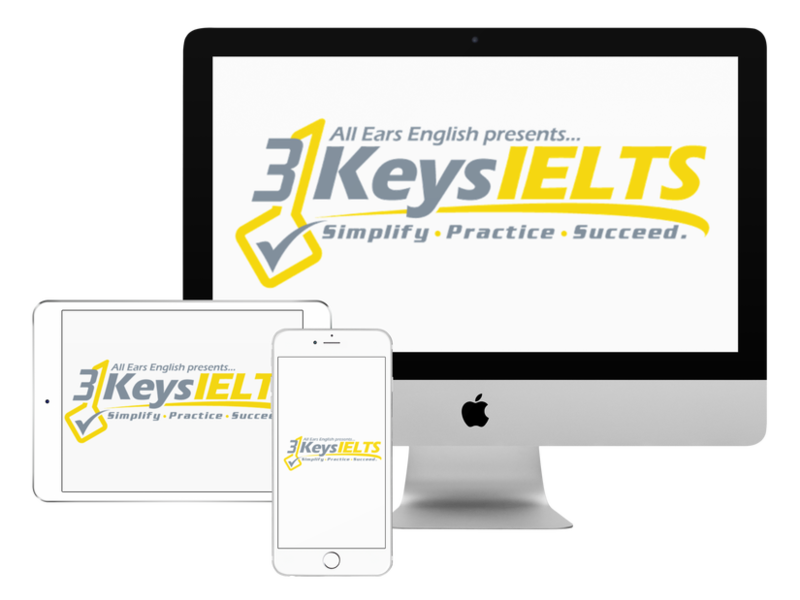 You can use these resources to practice for IELTS if you are in our 3 Keys IELTS course. I’m currently adding extra practice activities to the course in response to students’ requests. So, I’m using culturally relevant, native-speaker resources, that practice the Listening and Reading strategies we teach in our course. A recent one I’ve added is based on a Fresh Air episode about a Netflix sitcom called the Unbreakable Kimmy Schmidt- a hilarious, modern, fresh sitcom. Another Listening test practice exercise I’ve added is based on a podcast called Invisibilia. This episode is called Flip the Script, questioning the idea of if humans are capable of change. They also discuss mental illness and how cultures deal with it. It analyzes the way we deal with this issue and try to “solve” it.